There's probably one question you're asking. 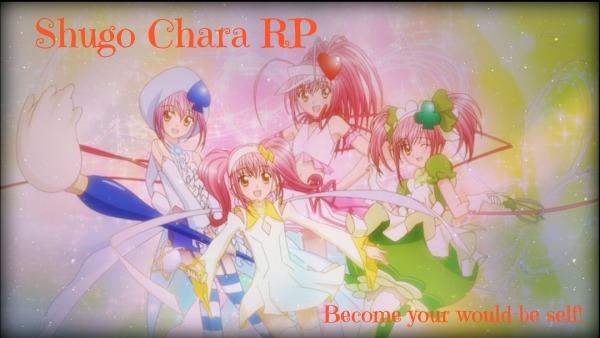 Points are the currency of Shugo Chara RP. With them, you can buy things in the Marketplace. You can buy things such as additional Guardian Charas and Character Transformations. You earn points by posting in the roleplaying sections. In other words, you earn points by RPing. The more you RP, the more items you can buy. You can earn points by posting in three sections: Roleplaying, Roleplaying Plots/Ideas, and OC Creation. How many points do I earn when I post? In roleplaying sections (Roleplaying and Roleplaying Plots/Ideas), you earn 2 points more making a starter post and 1 point for replying to a post. In OC Creation, you earn 2 points for making an OC. If you look at any thread you've posted on, you can see how many points you have. Just find your post and look to the left of it. It should have your username, your rank, your avatar, your post count, your points, and your join date. It can have other things on it depending on what you choose on your profile. Do I have to buy things with my points? Absolutely not! I do encourage it, though. I think you will have much more fun RPing if you have some of the items.